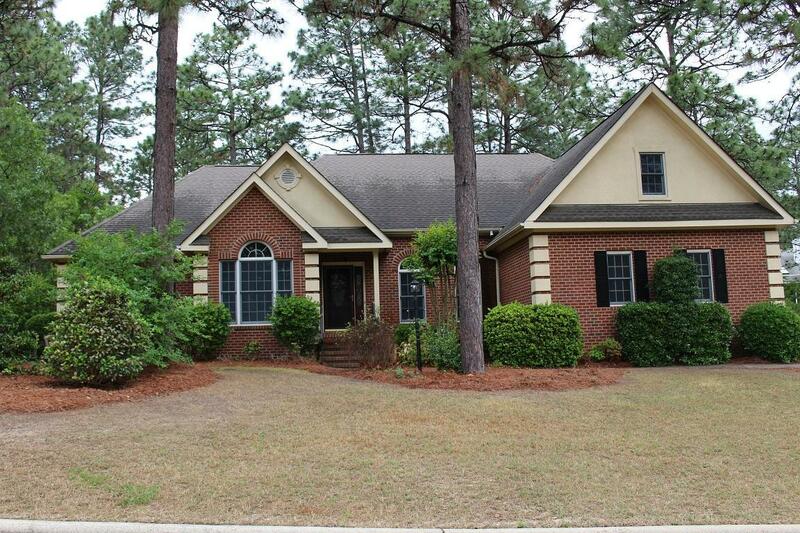 3 bedroom 2.5 bath full brick home on a private lot situated on a cul de sac in the Talamore golf community. Eat in kitchen with granite counters and ample counter space and cabinetry. Formal dining for those special occasions. Great room with vaulted ceilings, hardwood floors and gas fireplace. Master Bedroom has large walk-in closet and private deck. Large laundry room with space to add storage. Downstairs storage room and attic storage too. Spacious garage and large driveway offers space for you and parking for your guests without the inconvenience of a blocked driveway. Back yard offers open and covered deck areas making living inside or out in this beautiful home very comfortable.